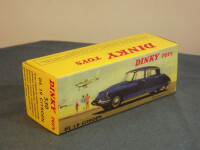 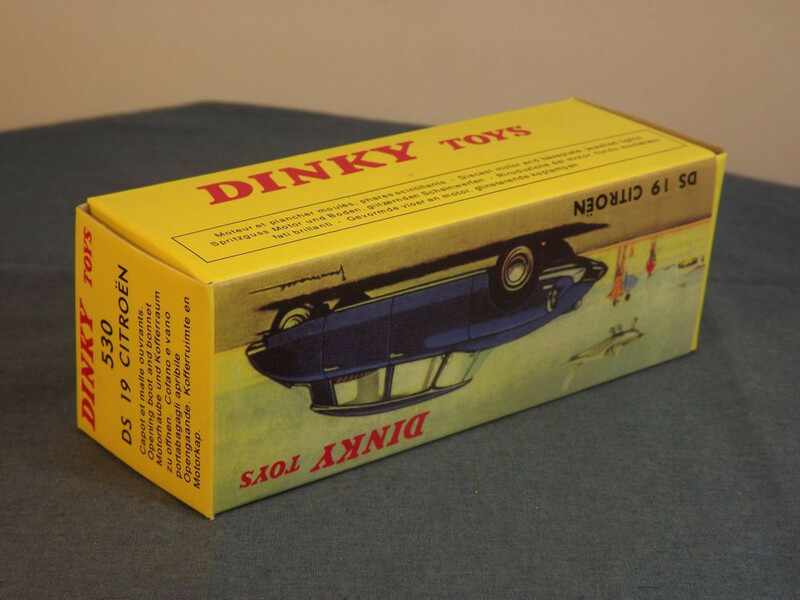 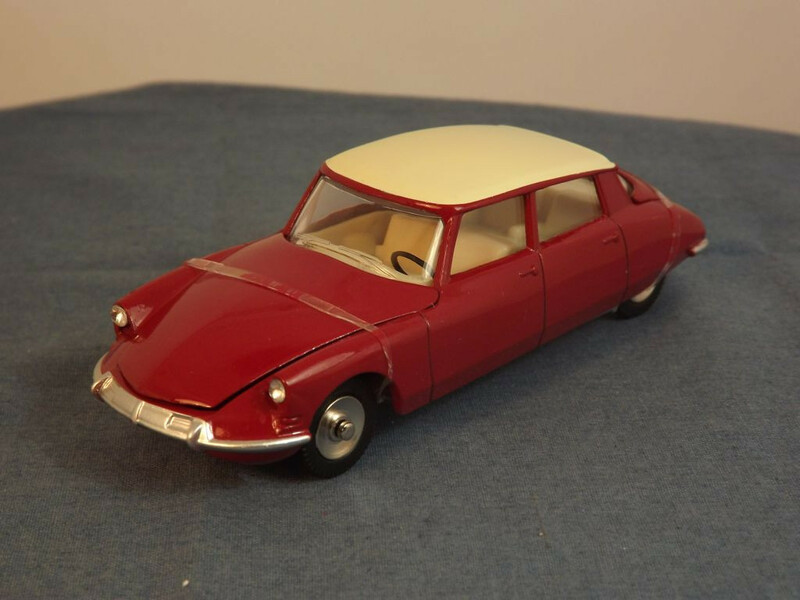 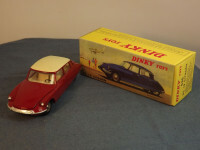 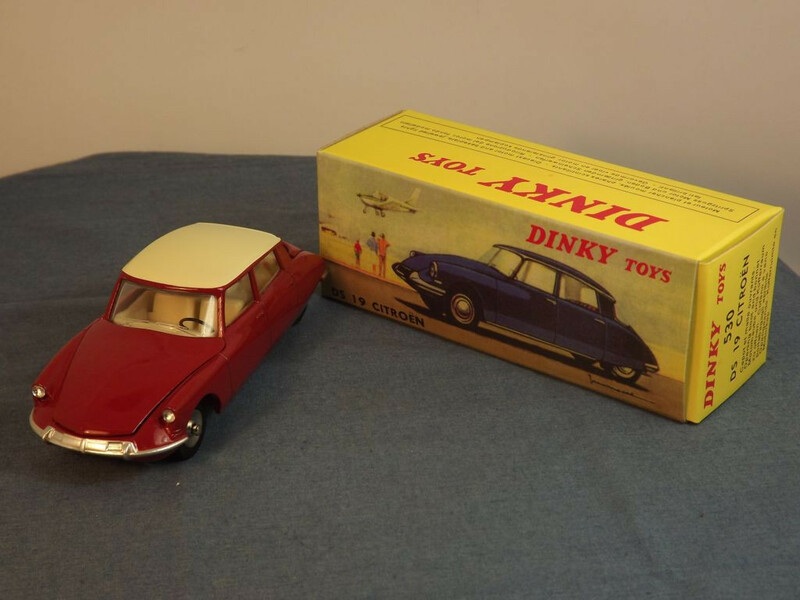 This model is the Editions Atlas Dinky 530-H-1 Citroen DS19 (1963) in maroon with cream roof. The only opening parts on this model are the bonnet, which reveals a black plastic motor and spare wheel, and the boot, which reveals an empty luggage compartment. 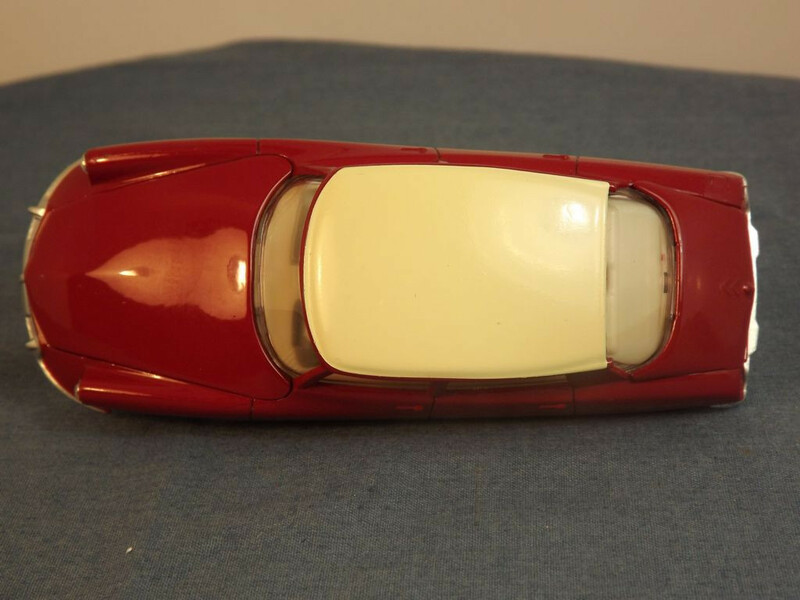 All other detail is cast into the body casting such as the doors, handles, badges, lights and front and rear bumpers. 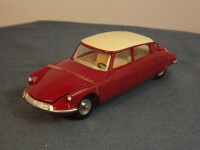 The car is adorned at the front with a silver painted bumper (no number plate) and the jeweled lenses on the front lights are clear plastic. At the rear it has silver painted bumper, red tail lights, and yellow number plate. 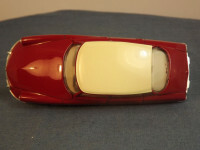 The interior is cream plastic with a black left hand drive steering wheel set into the dashboard, and the glazing is clear. 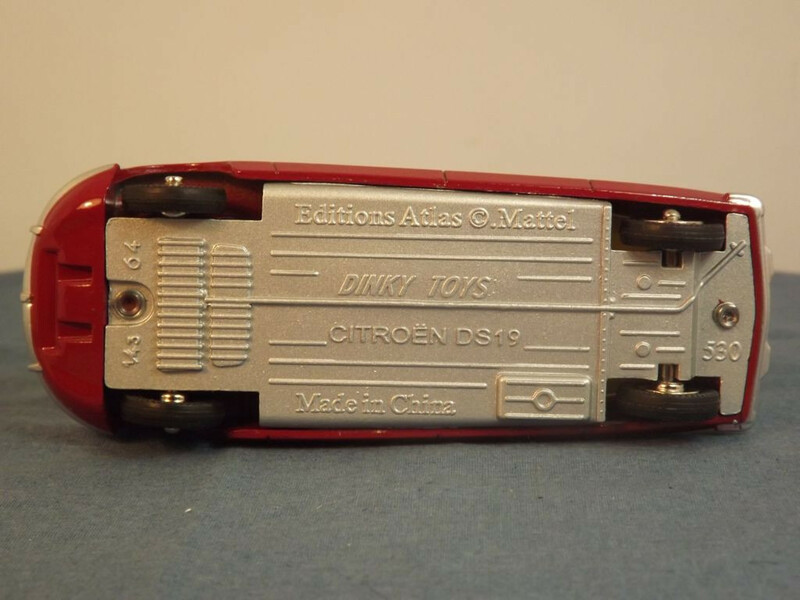 The base plate appears to be silver painted, cast metal and carries the legend "Editions Atlas © Mattel" at the top centre, "Dinky Toys, Citroen DS19" on two lines in the middle centre, and "Made in China" at the bottom centre. 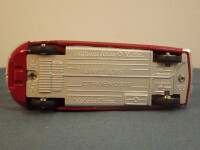 Forward of the front axle is the scale "1/43" to the passenger side of the rivet and "64" to the driver's side of the rivet. 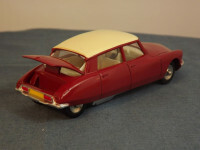 To the rear of the rear axle is the model reference "530". 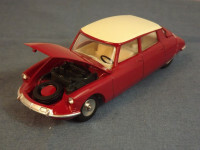 The base also carries rudimentary representations of the exhaust and lower engine components. 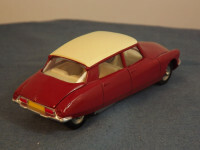 It is held in place by two machined rivets, front and rear.